All pictures below can be expanded by clicking on them. 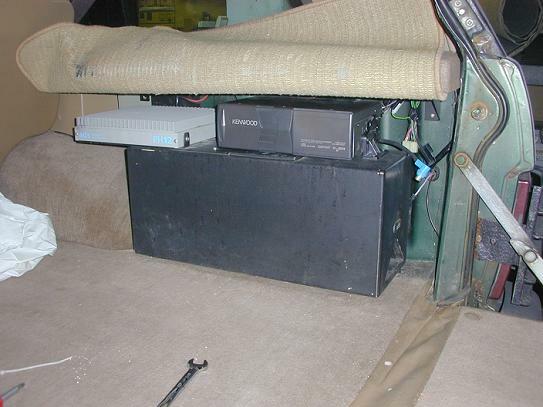 ADS subwoofer controller-under cubby. 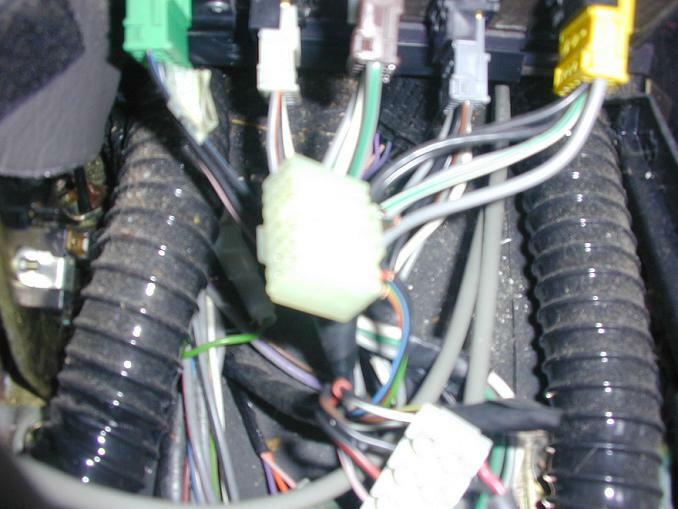 The DIN connectors were poorly terminated at radio end. 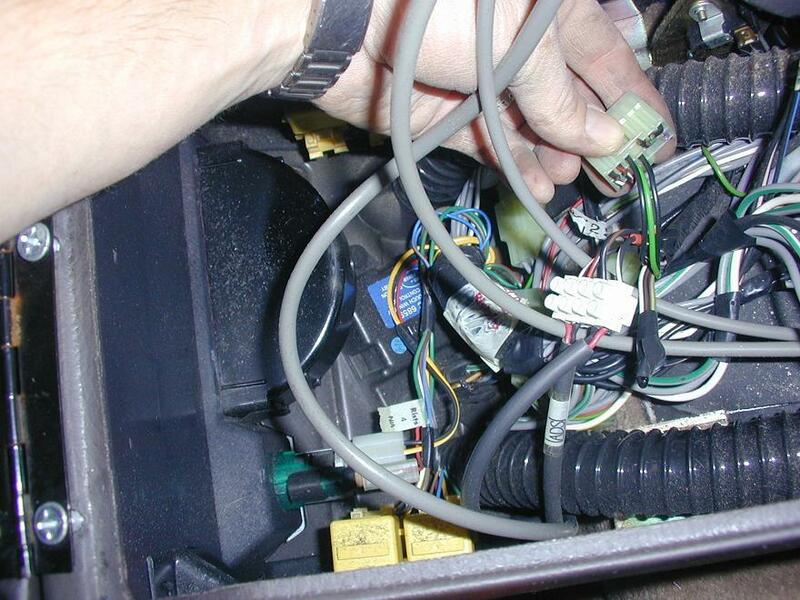 There is NO amp under cubby like ETM/Manual indicates, my 92RR has one 6ch amp in rear. Unknown power rating. *Does anyone have accurate specs on this PH12 amp? 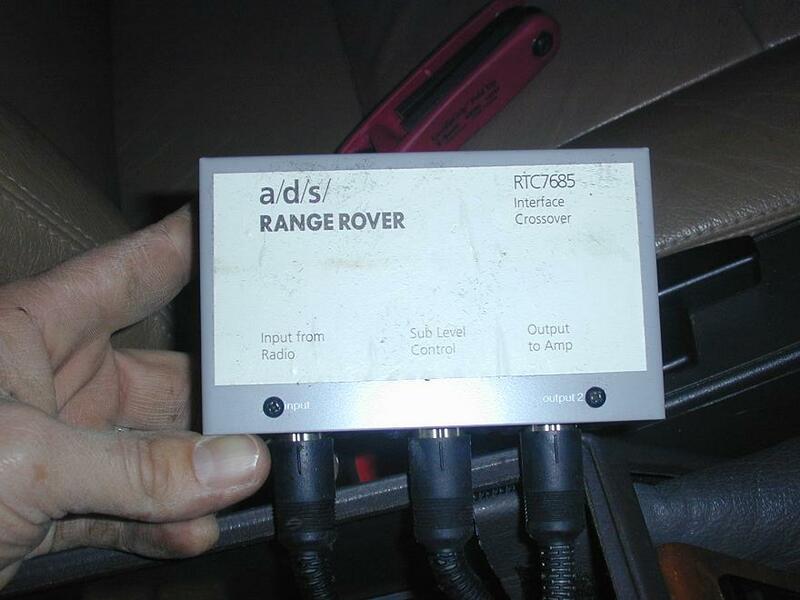 Shows an OEM connector with wires cut... it appears that this is the way it came from the LR Factory. 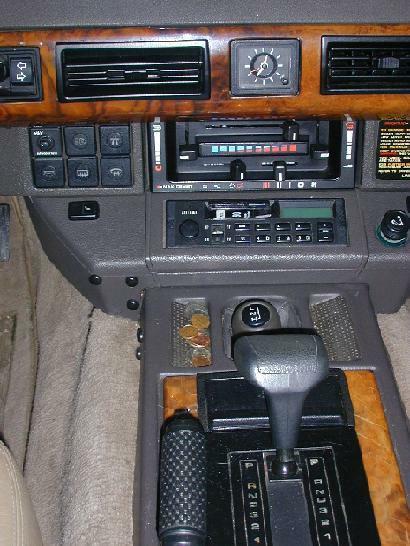 It looks like the wiring was installed for the simple stereo, then they just cut the wires from the original connectors and rerouted them to and from the amplifier in the back on additional wires installed just for the A/D/S system. 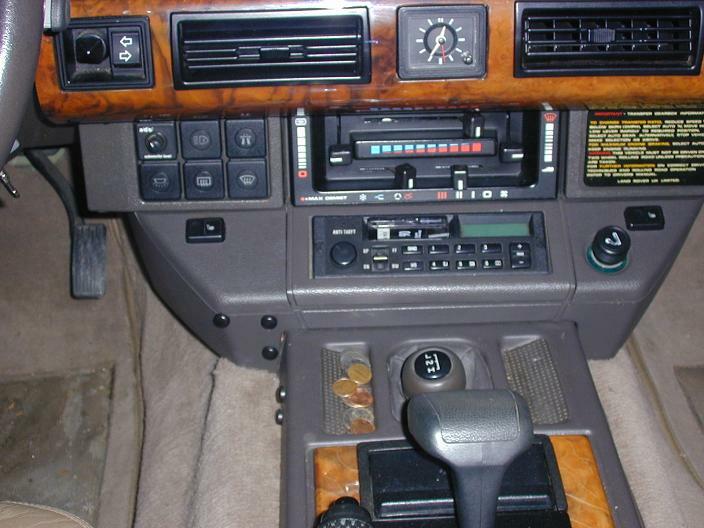 Under cubby, kind of a cluttered view, but there is NO amp in there, only the subwoofer crossover and level controller. Under cubby-view of rear of window switches. 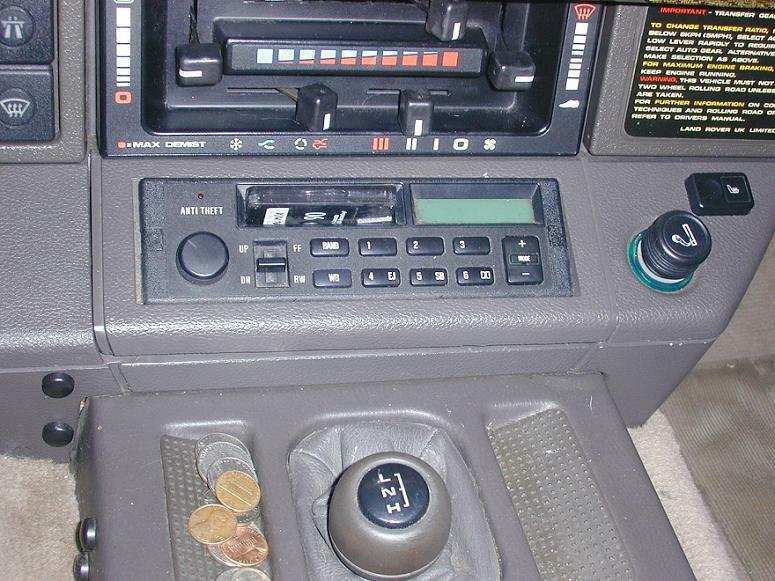 The flash-whited out connector has wires cut from it, appears that this plug went into a different OEM stereo setup. 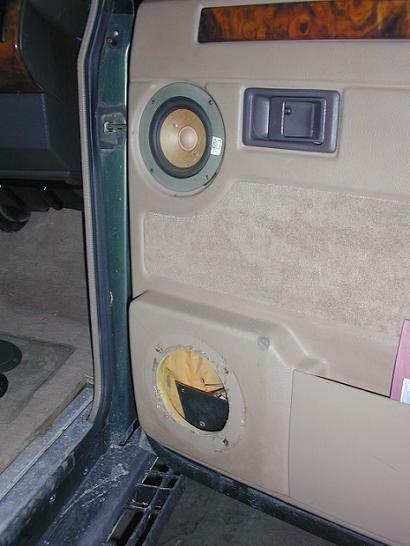 You can see both speaker grilles in the doors. 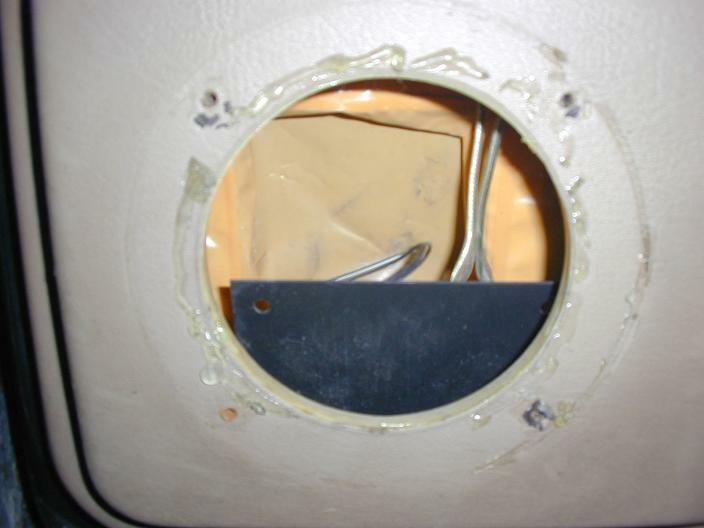 Tweeter opening in Sail Panel=2.125"
The middle opening is actually larger than the lower opening, but there is more material around the mounting screws below, so you have room to enlarge the hole for a larger speaker. It appears that the middle speaker is a standard 4" speaker, and the lower opening would accept an industry standard 5 1/4" speaker if you enlarged the actual opening. 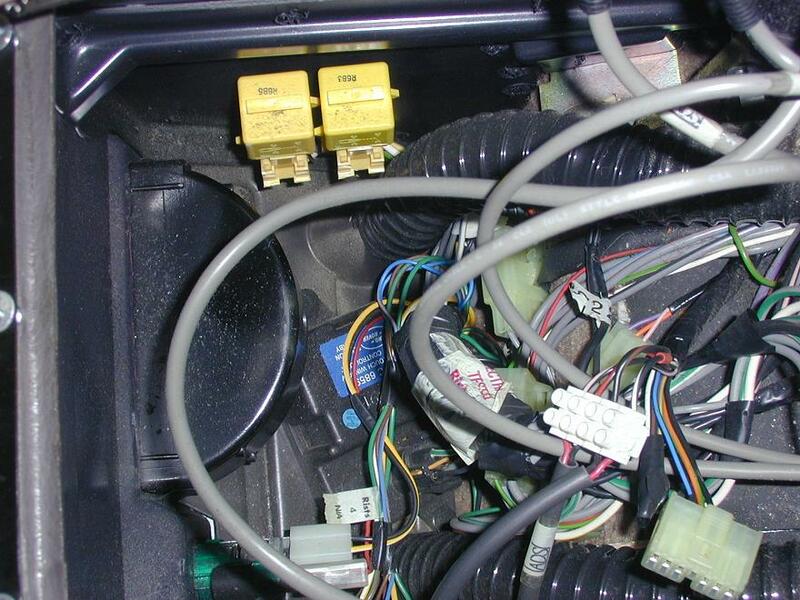 I took the grille to a stereo place and the mounting holes lined up exactly with a 5 1/4 ", I didn't do a depth measurement, but it sure seems like there is a lot of room in there, as long as your move the crossover network boards somewhere else, like above in the middle opening. 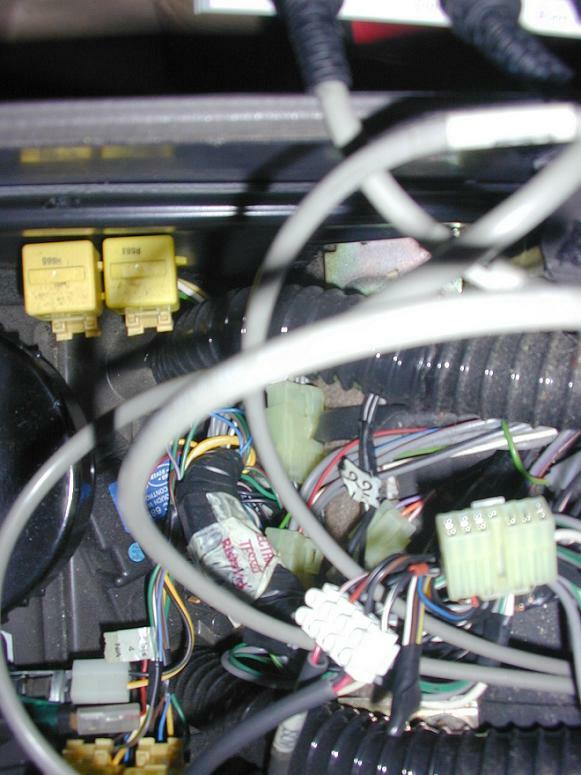 Behind the "lower" speaker grille lives the crossover circuit for the OEM door speakers. 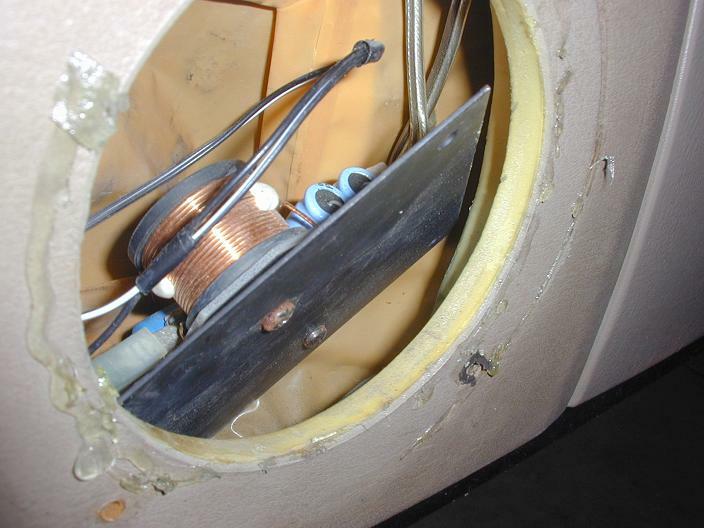 Lower speaker grille, crossover circuit board is in cavity. 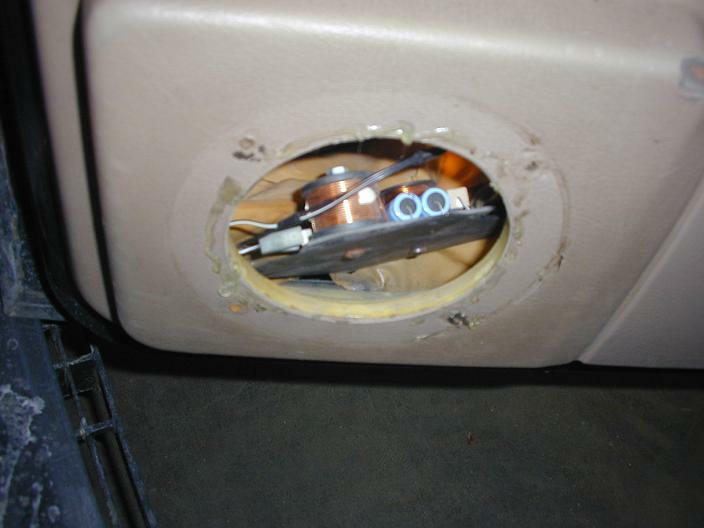 The board is too big to be removed out hole, plan on removing entire door panel. 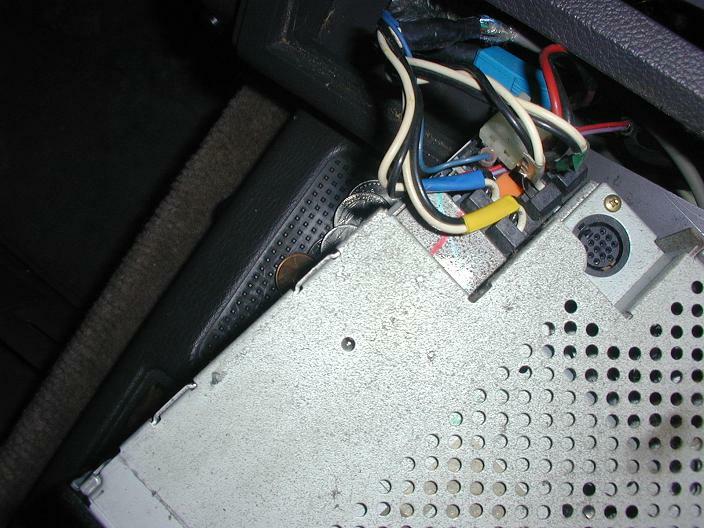 Crossover circuit board behind lower speaker grille. The unit has exposed components. 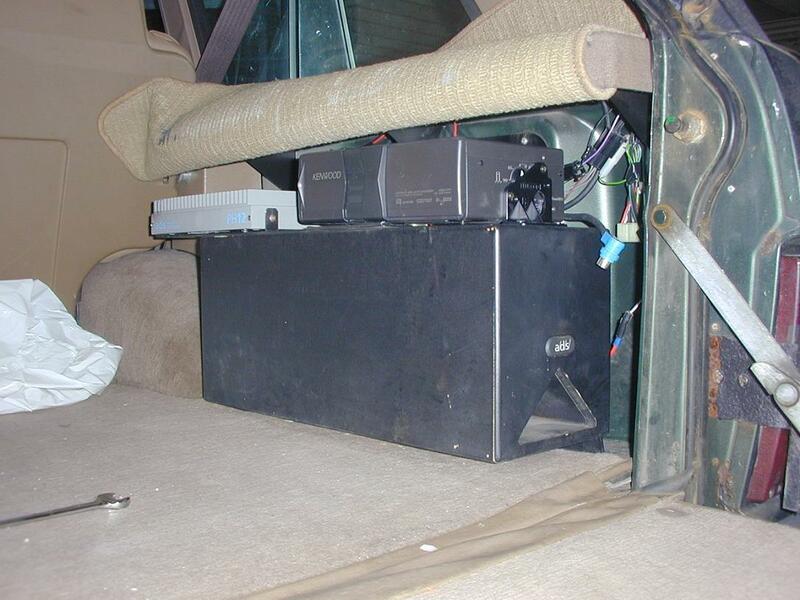 Note the wires: The black & black/white 22gauge is the main feed TO the crossover, the clear 18 gauge are the individual speaker outputs to the midrange woofer and tweeter above. 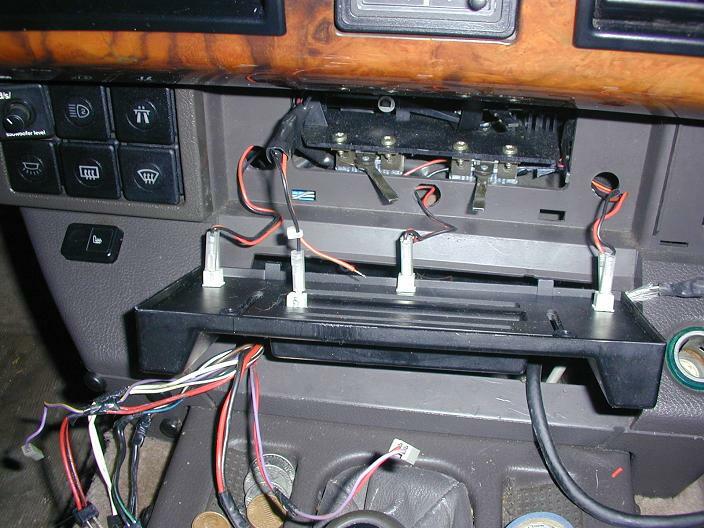 Important to Note that the wires hooked to the tweeter are different again (not the clear 18 gauge), there is another splice with-in the door behind the middle speaker, a 2-pin plug connects the tweeter to the clear 18 gauge. 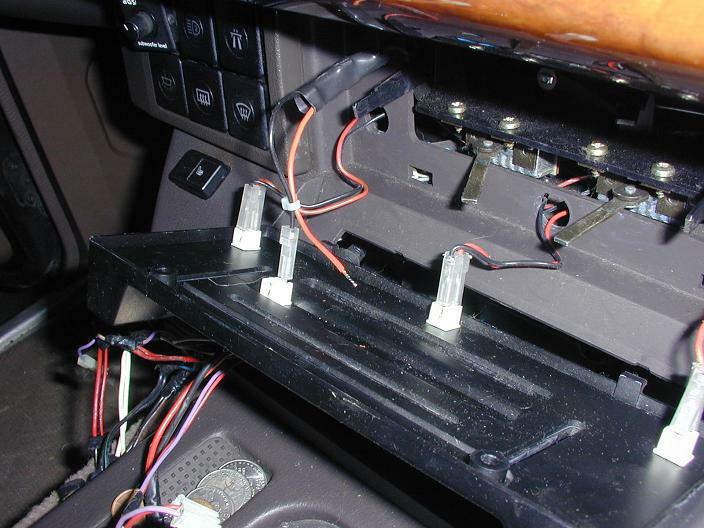 My OEM tweeter doesn't work, so I need to hunt the wires down and see what's going on. 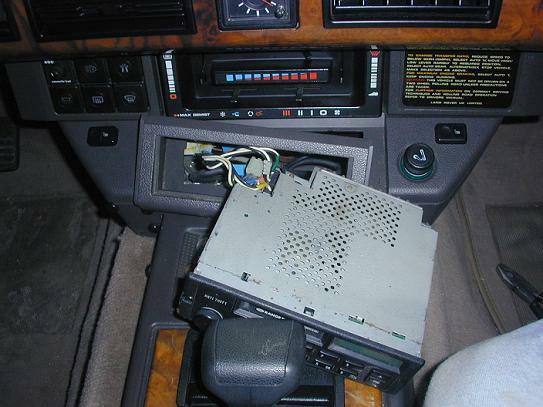 I mounted the new CD changer in same place as OEM unit. I just bent the original changer bracket tab down and fitted the new changer over the bent tab. New CD changer and original ADS PH12 amplifier. 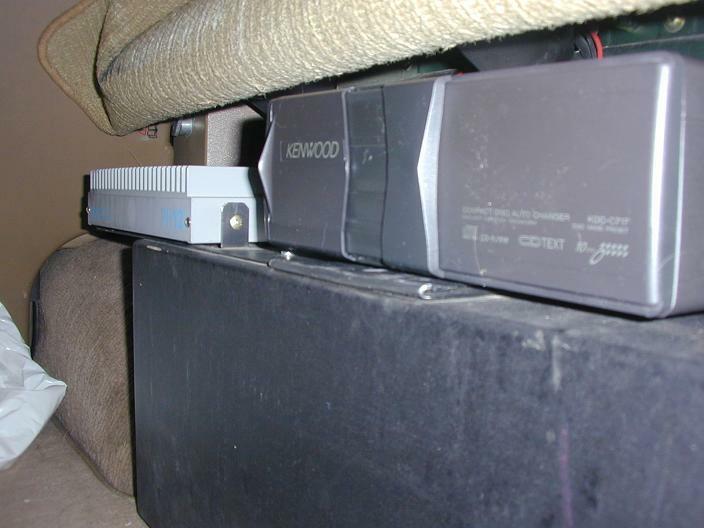 The amp is a 6 channel amplifier (unknown wattage rating), 2xfront, 2xrear, 2xsubwoofer. The inputs are speaker-level (as opposed to line-level), at least mine seems that way, I got very low sound out of the amp when I used line-level inputs to the unit. 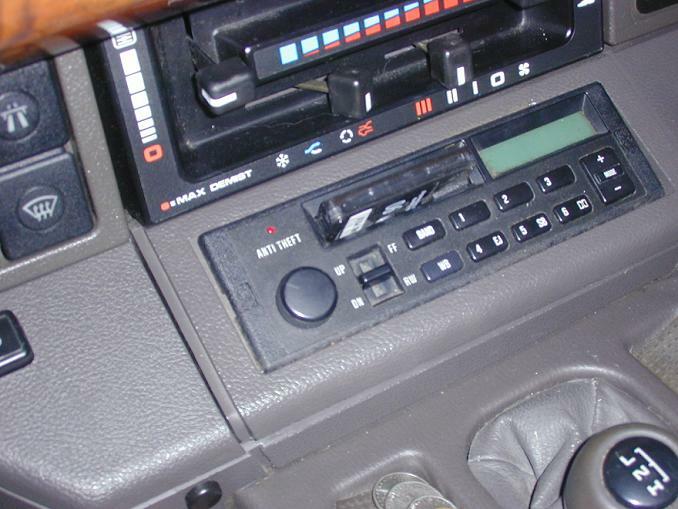 I keep meaning to check the original radio to see if it will drive a speaker directly, confirming that the OEM radio has an amplified output. I think the amp provides the sub woofer signal from the bass on the FRONT speakers. 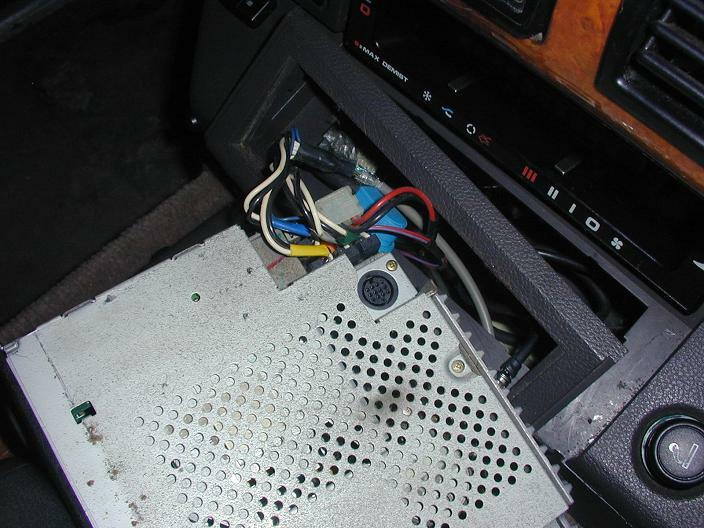 I found this out because on the new install, for testing, I bypassed the amp for the front speakers and powered them directly from the new stereo... I lost sub woofer signal at the same time. 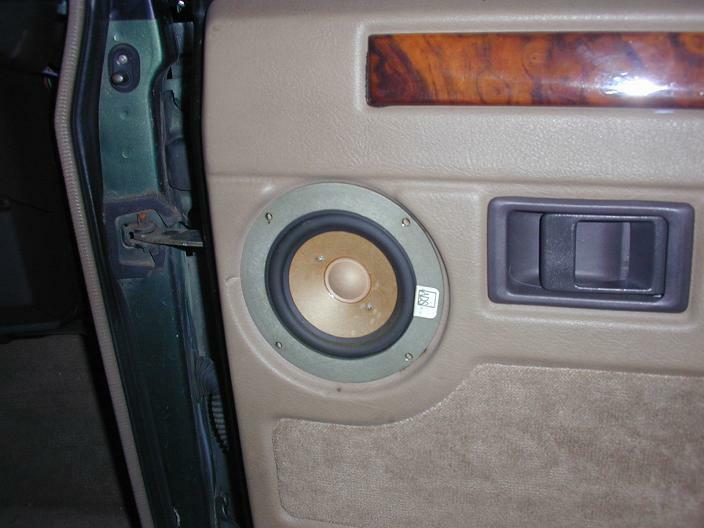 I will be redoing that to check it out further and to regain the subwoofer signals.